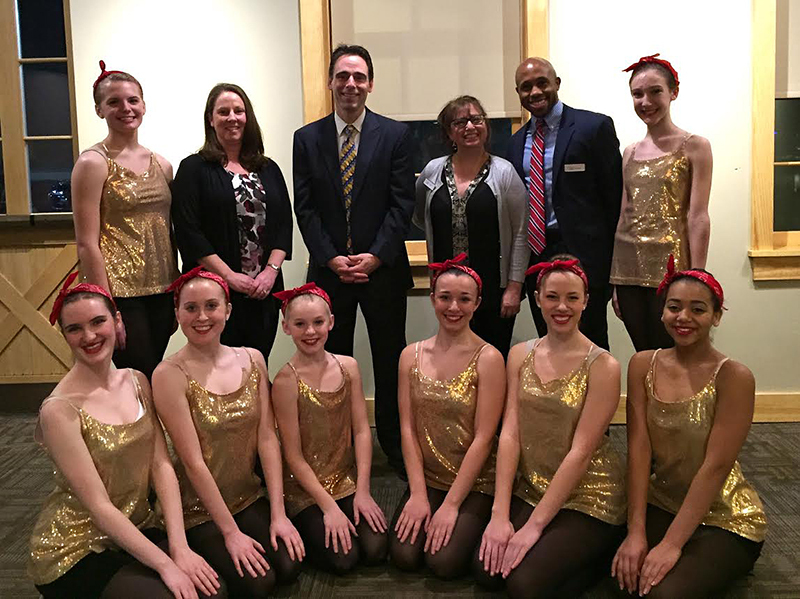 ROCKFORD – State Senator Steve Stadelman has been named honorary chairman of a new event to increase scholarship funds for students at the Rockford Dance Company. The public is invited to the first-ever "Lights & Tights" Dance Marathon from 6 to 11 p.m. Saturday, January 24 in Kresge Hall at the Riverfront Museum Park, 711 N. Main St., in downtown Rockford. Money is being raised through pledges collected by participants at the USO-themed, swing-style dance party and through a $25 admission charge. Stadelman, D-Rockford, joined RDC officials to announce the benefit during a holiday party December 26. "I'm honored to have been asked to help launch what hopefully becomes a new tradition for an organization that has a proud, 40-year history in our community," Stadelman said. "As a longtime recreational basketball player and coach, I see very clearly the value of dance in character building and youth development that extends far beyond the stage just as those benefits extend off the courts." Stadelman commended leadership of the nonprofit dance school and performance troupe for continuing its commitment to equal access to instruction regardless of a family's ability to pay. Eleven families with students enrolled in dance classes currently receive financial assistance. "Dance should know no boundaries as an art form or an athletic discipline," he said. "I'm grateful for any part I can play in growing the number of students who receive dance scholarships in the future." For more information on the Lights & Tights Dance Marathon, call 815-963-3341 or visit www.rockforddancecompany.com. SPRINGFIELD – New legislation by State Senator Steve Stadelman to ease the pain for businesses and employees during tough economic times was signed this afternoon by Governor Pat Quinn. Senate Bill 3530 changes how unemployment benefits are paid in Illinois, reducing layoffs and improving state finances. With the establishment of "work-share" benefits, employers that find themselves struggling in a weak economy can temporarily reduce hours – rather than lay off workers – and workers can collect partial unemployment compensation while staying on the job part time. In addition, the state saves money that would have been paid to laid-off workers drawing full benefits. Quinn's signature before the end of 2014 makes Illinois eligible for $4 million from the federal government to pay startup costs for the program. "The value of work-share cannot be over-emphasized," said Stadelman, D-Rockford. "Employees who otherwise face layoffs gain a sense of security and peace of mind, and businesses avoid the upheaval of letting skilled workers go and retraining new ones." Known also as "short-time compensation," similar laws have been successfully implemented in 28 other states, including Iowa and Missouri. Under Stadelman's bill, Illinois now offers partial benefits when a business cuts hours among at least 10 percent of its staff and shares the remaining work among affected employees. Stadelman received praise from business and labor organizations for bringing them together to help draft and earn bipartisan support for SB 3530. "Illinois manufacturers appreciate Senator Stadelman's leadership in improving the unemployment system for both workers and business," said Mark Denzler, vice president and COO for the Illinois Manufacturers Association. "These reforms relax regulations while allowing for work-share programs that will reduce layoffs." AFL-CIO Secretary-Treasurer Tim Drea called the legislation a "win-win" that in times of reduced employment lets workers keep job-related benefits and lets companies retain highly-skilled workers. "With all parties working closely with Senator Stadelman, this legislation was crafted to benefit taxpayers, workers and businesses." ROCKFORD – Thanks to the efforts of Senator Steve Stadelman, Lifescape Community Services Inc. is announcing that they have been awarded a $45,000 grant from the Illinois Department of Commerce and Economic Opportunity to purchase a new blast freezer. The new freezer will allow Lifescape, which delivers more than 20,000 meals annually through the Meals on Wheels program, to freeze its own meals instead of having to go through a third party to have them frozen. This will allow the agency to save money and keep seniors living independently in their own homes. The state also looks to save substantial dollars thanks to the new freezer. On average, Illinois spends $48,000 annually for every person who lives in a nursing facility, as compared to only $12,000 for every person who receives in-home services. 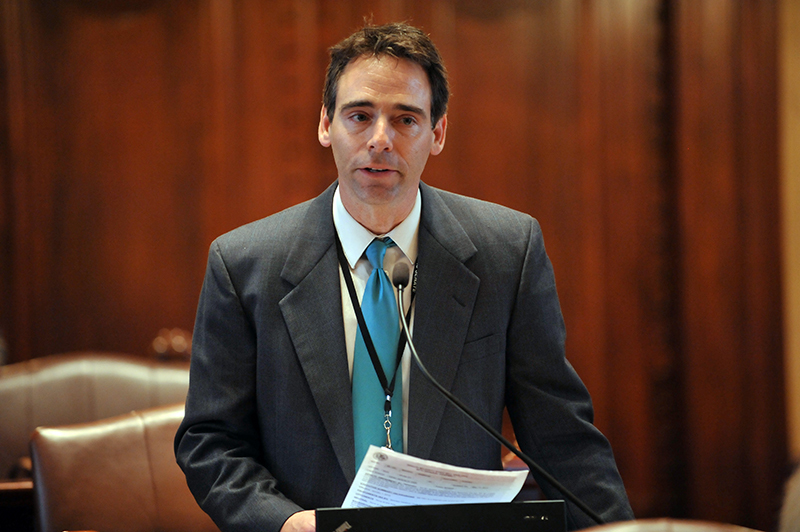 "We are grateful to the state of Illinois, especially Senator Stadelman," said Lifescape Executive Director Carol Green. 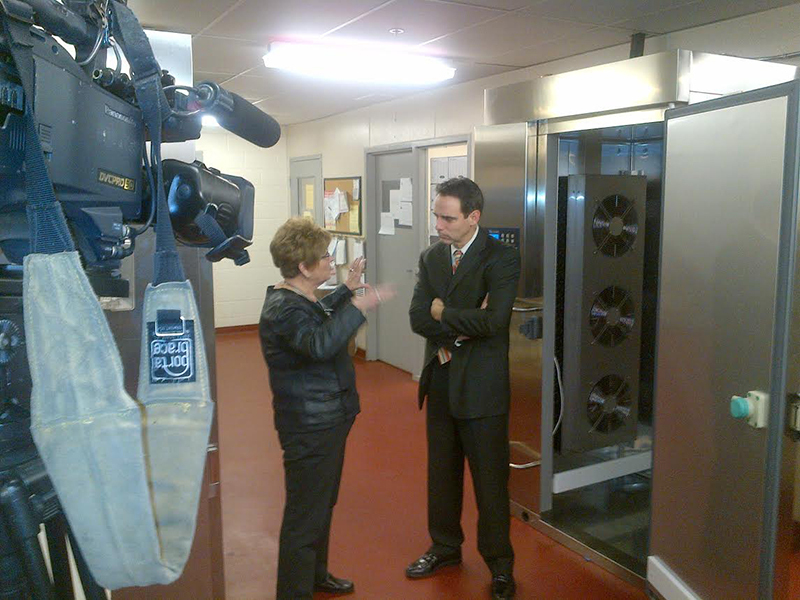 "The savings we will realize with this blast freezer will allow us to better serve our clients." The freezer couldn't come at a better time, as Lifescape expects the demand for frozen meals on weekends and holidays to rise by nearly 20,000 this year and state funding becomes scarcer. "It's becoming more difficult to find state funding for local projects, but keeping our seniors healthy and comfortable in their own homes is important work," Stadelman said. "Lifescape Community Services is a well-respected agency, and I'm confident this grant is a great investment." Lifescape Community Services is Illinois' top source in Winnebago, Boone, Ogle and Lee counties for providing services to older adults, allowing them to independently remain in their own homes. 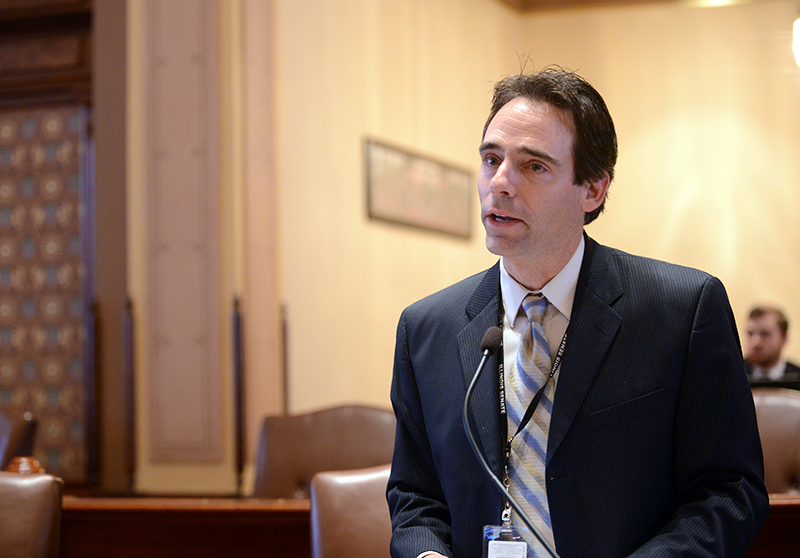 ROCKFORD – The Illinois General Assembly today passed a bill by Senator Steve Stadelman that would ease the pain for businesses and employees during tough economic times. If signed by the governor, Senate Bill 3530 would change how unemployment benefits are paid in Illinois, reducing layoffs and potentially saving the state money. Under the new "shared-work benefits," businesses that find themselves struggling in a weak economy can temporarily reduce hours – rather than lay off workers -- and the workers can collect partial unemployment benefits while staying on the job part time. "It doesn't happen often enough in government, but everybody wins with this legislation," said Stadelman, D-Rockford. "Businesses get to keep already-trained employees on staff, and employees get to keep their jobs while collecting partial benefits until they return to work full time. The state wins, too, by saving money that would have been paid to laid-off workers drawing full benefits." Stadelman added that $4 million is available from the federal government to pay startup costs if the bill becomes law this month. Similar programs, also known as "short-time compensation," have been successfully implemented in 17 other states, including Iowa and Missouri. Under Stadelman's legislation, Illinois would offer partial benefits when an employer cuts hours among at least 10 percent of its staff and shares the remaining work among affected employees. Both sides of the General Assembly passed the bill this spring, but House amendments required Senate approval, which occurred today. The bill now awaits the governor's signature.